Partnering with Redbull North America allowed for multiple opportunities to educate new athletes, drive home brand recognition, and create story-driven brand centric projects. One of these projects included an athlete on-boarding experience, in which new brand ambassadors were easily guided through the brand, expectations, and their new partnership. 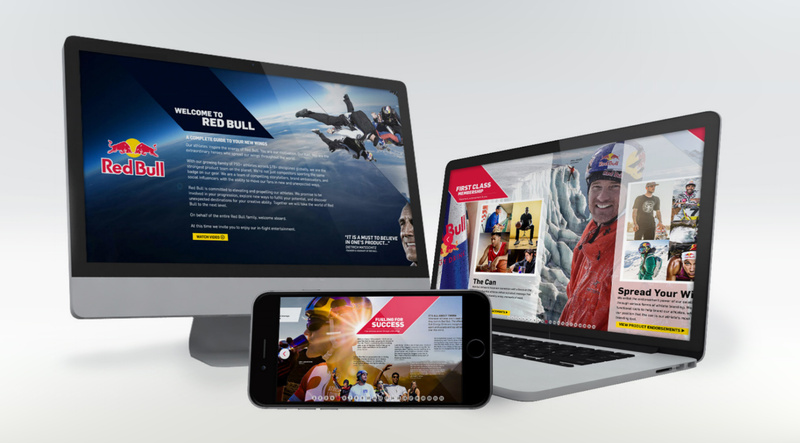 This was achieved by creating an immersive website that allowed new partners to become acquainted with the rich history of Redbull and also their own future opportunities.